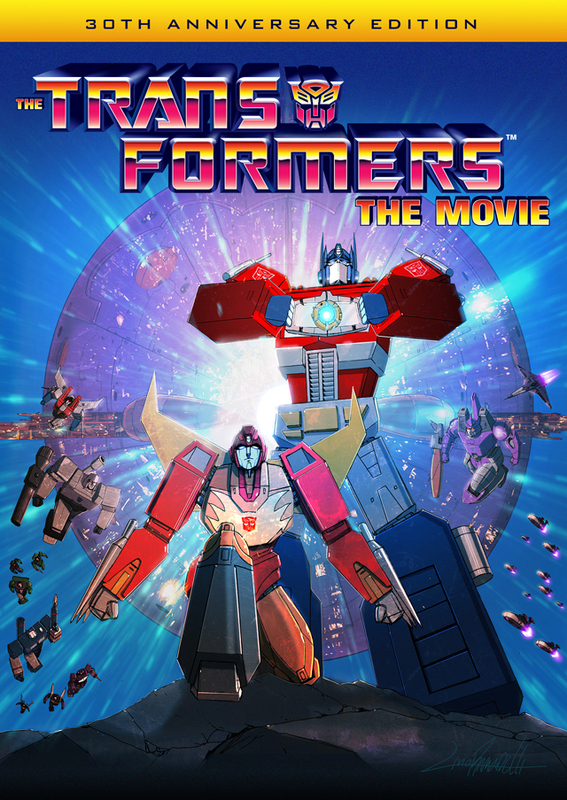 People tend to have a love/hate relationship with the Michael Bay Transformers films but universally, most fans of the robots in disguise love the original generation 1 animated series and the movie that spawned from it. Transformers: The Movie is still a huge fan favorite today and until now has never been available on Blu-Ray in North America. Even DVD editions of the film are not always easy to find! Shout Factory announced today that they will bringing the animated film to Blu-Ray and a new DVD edition on September 13, 2016. The film will be completely remastered from it's original 35mm elements for a pristine HD transfer. The disc will also be loaded with special features and collectible packaging. Below is some key art from the release but not the final art. Transformers: The Movie finally arriving on Blu-Ray September 13, 2016!